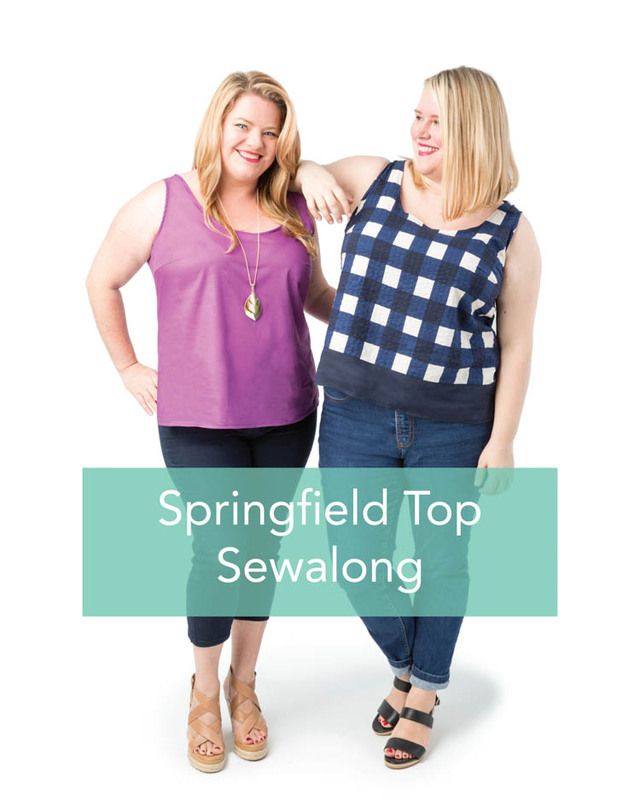 Once you have a bodice that fits you really well, it’s tempting to make it over and over again. 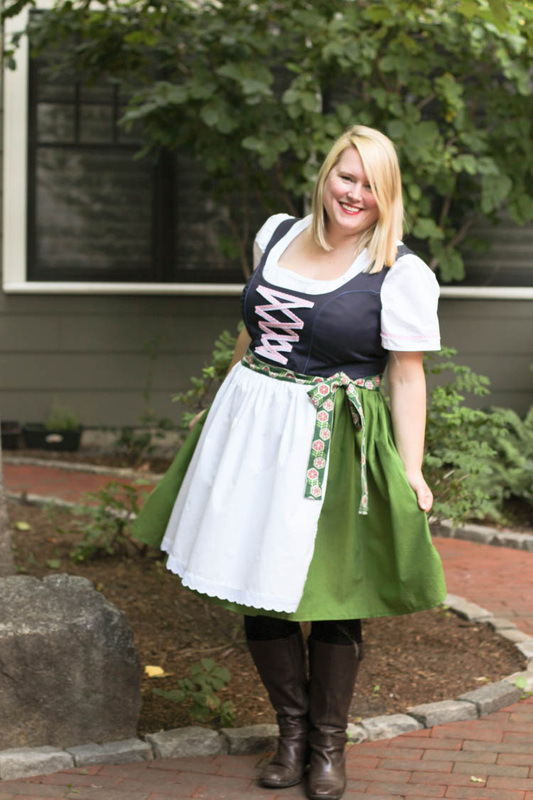 So, when I wanted to make a princess seamed dirndl, instead of trying to hack a traditional princess seam bodice drafted for a B cup, I used the Cashmerette Upton Dress in a G/H and adapted it. 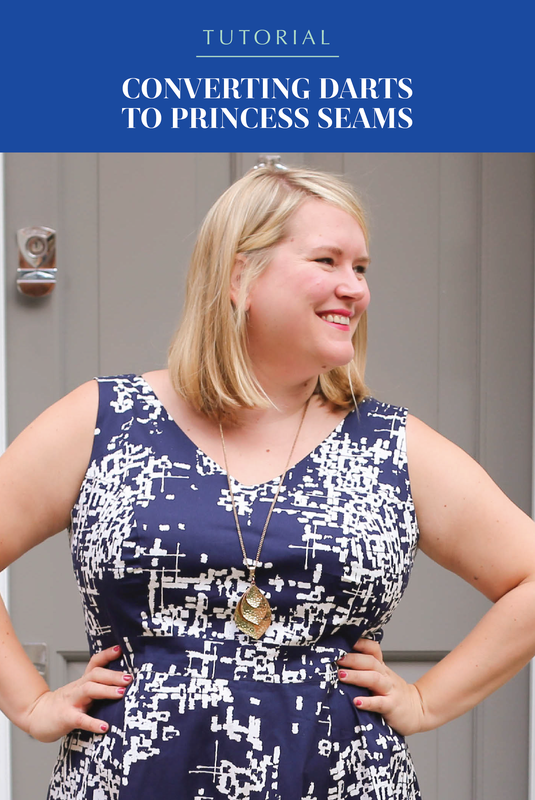 Today, I’m showing you how to change a bodice with darts to princess seams! 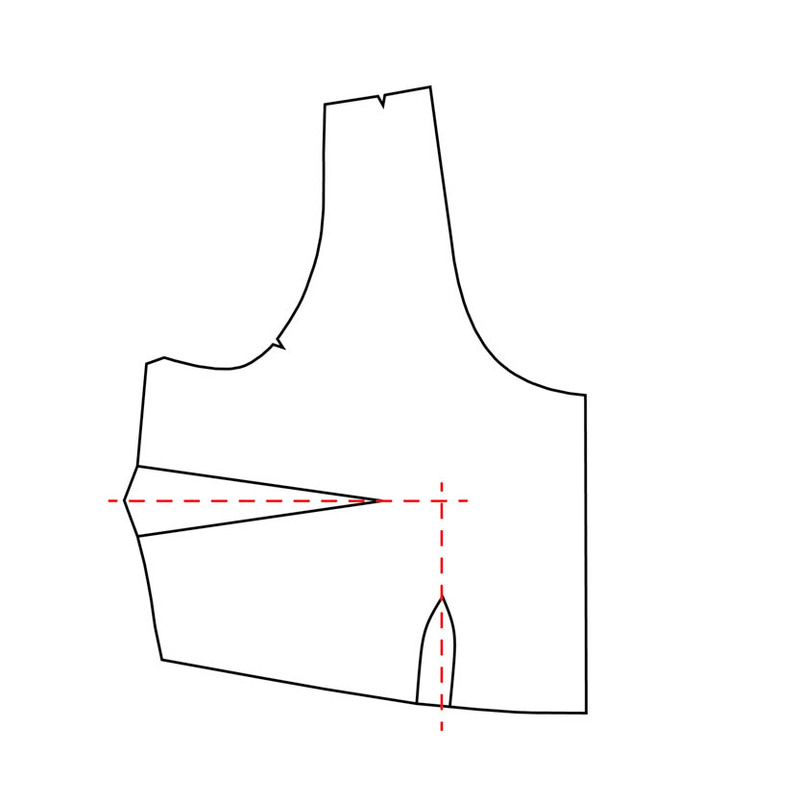 I’m demonstrating on the Upton Dress, but this technique will work on any two-darted bodice. 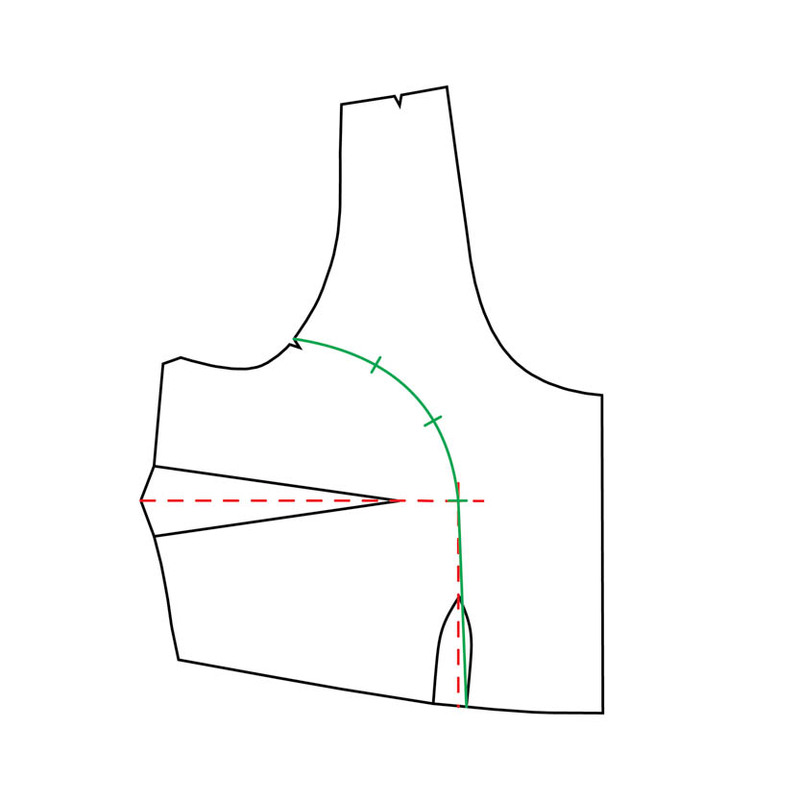 If your bodice only has a bust dart, you can also use it – just draw a vertical line down from the apex where a waist dart would be. 2. Draw a line horizontally through the bust dart, and a line vertically through the waist dart. Where they cross over is the bust apex. 3. 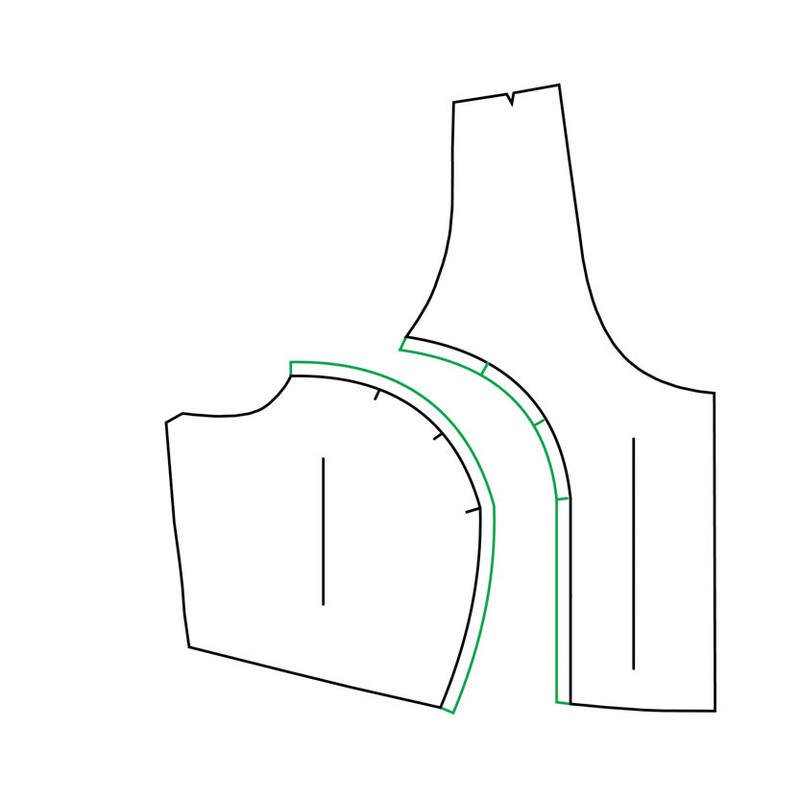 Draw a curved line from the armhole notch to the bust apex, making it a smooth curve that ends at a vertical line by the apex. 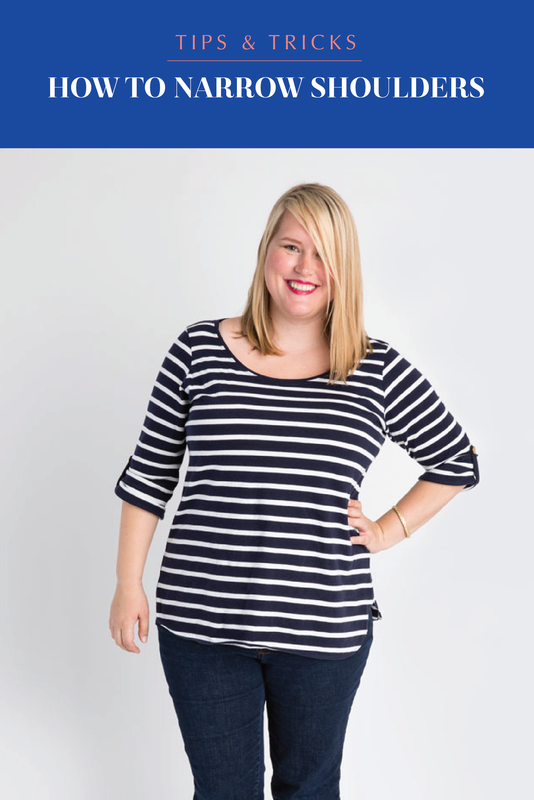 Using a French Curve ruler will help you get a nice shape. Then, continue the line down to the waist, ending at the right hand side leg of the waist dart. Make three marks across this new line, twice at the curve, and once at the bust apex (these will be your notches later). 4. Cut along the curved line, creating a side pattern piece and a center pattern piece. 5. Add seam allowance to the curve on the center pattern piece (in the case of the Upton, that’s 1/2″). 6. Now we need to get rid of the dart on the side piece. 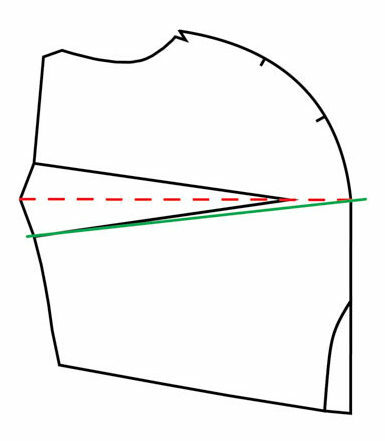 Draw a line from the bottom leg of the dart to the bust apex (it won’t totally line up with the dart, that’s OK!). 7. Cut along the line you just drew, and then swing the bottom piece up to close the dart. Tape closed. 8. 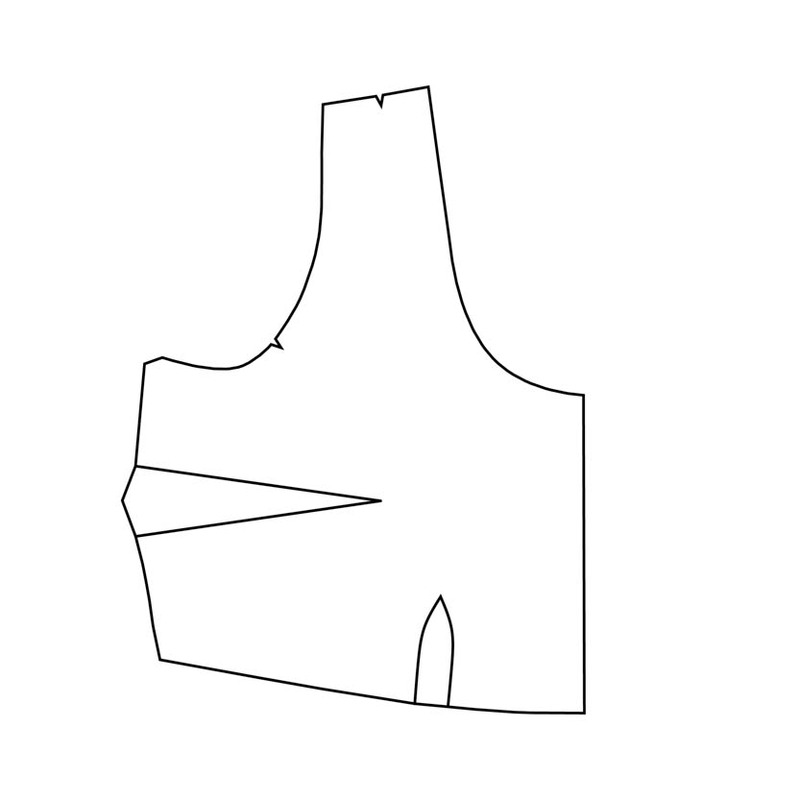 Re-draw the curve to smooth it out, also removing the remaining waist dart. 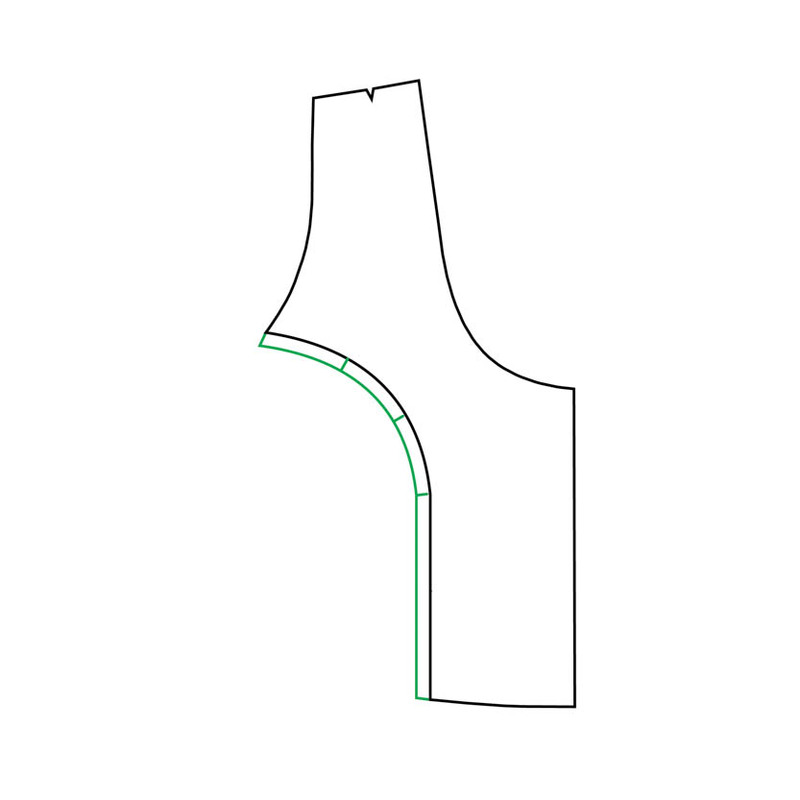 Draw the seam allowance onto the curved side of the side bodice piece. 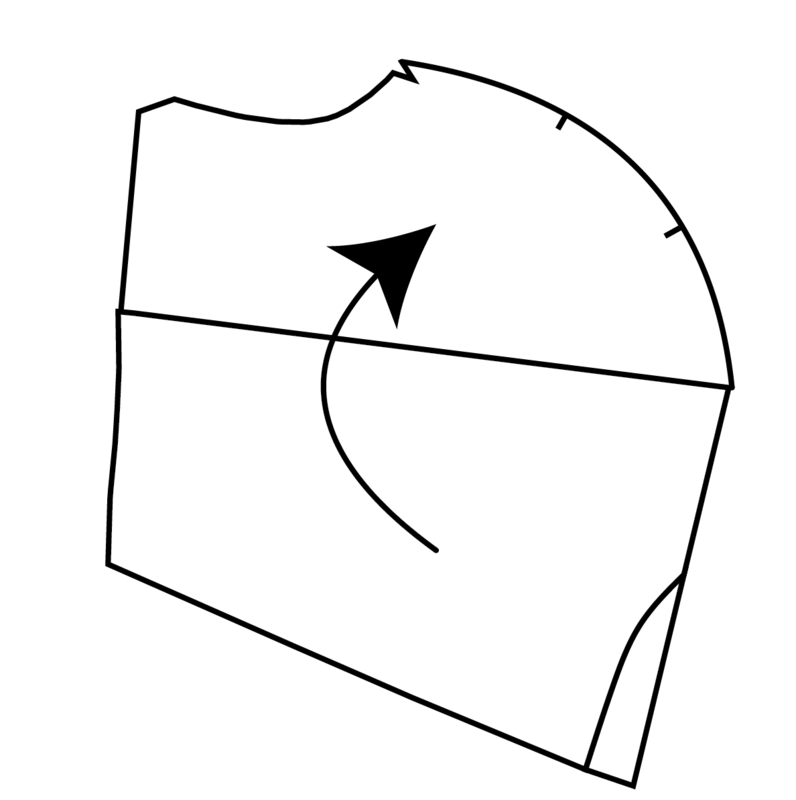 Re-draw on the grain line. And that’s it. Sew the side to the center bodice piece, matching the notches. And voila: you’ve change a bodice with darts to princess seams! What a great tutorial Jenny! Thank you 🙂 I’ve booked marked this for future reference for sure. I’ve become rather more fond of princess seams lately (thanks to my Harrison to be honest). Wow. And I’m always avoid patterns with darts because I never, ever can do it right. Now I know how to fight them! (and win) Thank you!! And I presume you can do with a shoulder line princess? Great tutorial. Very clear. 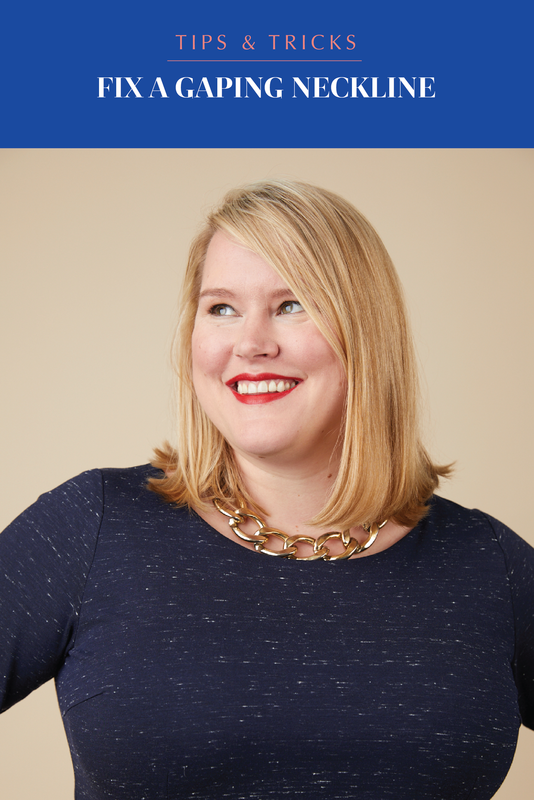 If a FBA is needed,would you do it before the conversion or after? 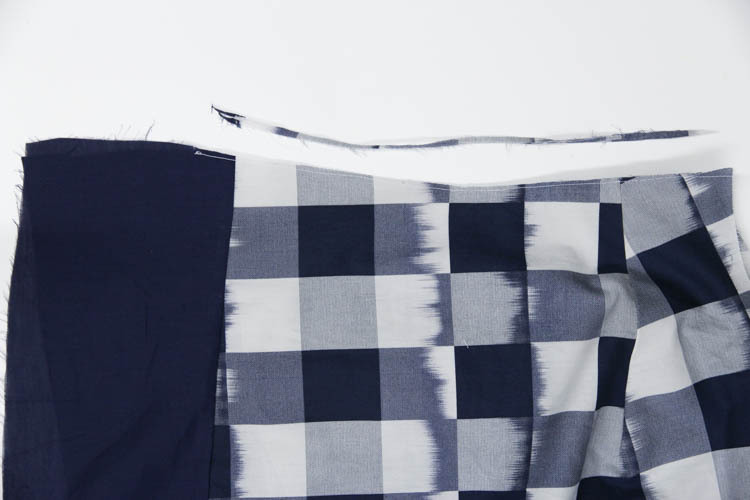 Do you have any tips on sewing the two pieces together. It seems like an awful lot of fabric pin down onto the new piece with no dart. I raised the line of the seam on mine as I had a pattern with a lower bust dart but I assume the concept remains the same. 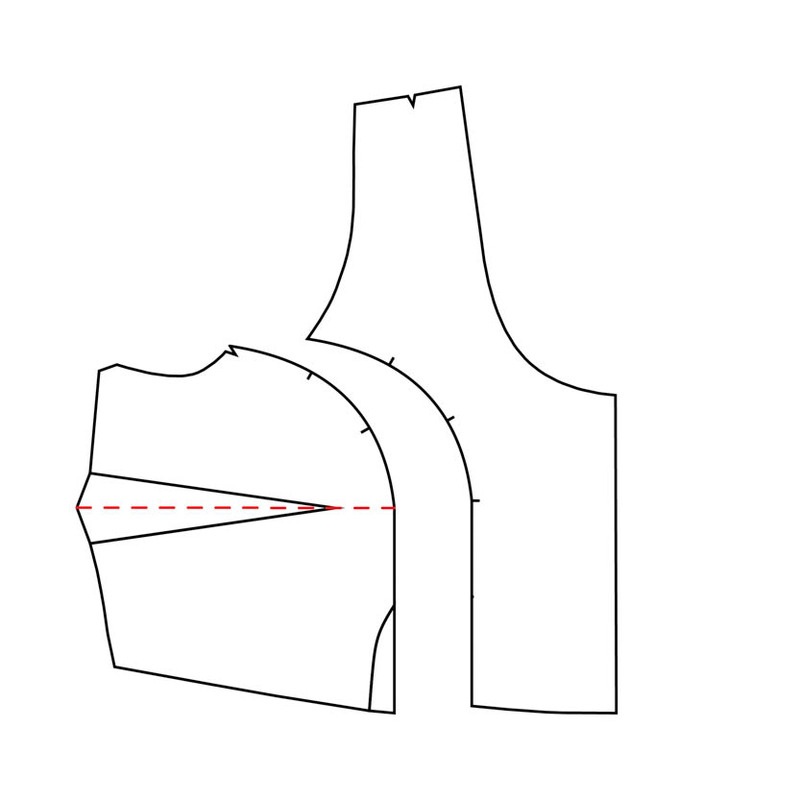 Is it beneficial to straighten the lines on the center bodice piece so that you’re sewing a curved line onto something straight? Thanks!!! – Go slowly, and remember the pieces need to match at the SEAMLINE not at the edge. I’m not sure what you mean by “raised the line of the seam” but in principle all princess seams work the same. If you straighten the lines, the princess seam will no longer fit you, because it’s the curve that’s taking over from the dart for shaping. I did not find this tutorial until after I had converted my Upton Dress pattern to princess seams but it looks like I did it right. My first make fits like a dream and I already have more Uptons planned for future makes. Thanks for adding the expansion pack for sleeves because I was planning on adding sleeves to one in the future. This is the first pattern that I can call a TNT pattern and have plans for many more!